Aromatherapy is simply defined as the use of some selected fragrances in lotions and/or inhalants in affecting the mood of a person and also to enhance and promote general health. Aromatherapy treatment is considered good for our health as it helps improves our body, mood and mind. It is also commonly known relaxation treatment that uses essential oils extracted from flowers, seeds, barks, herbs and roots. This treatment helps in treating insomnia which causes acute health problems and huge disruption in our life. Aromatherapy is popularly known for reducing stress. Essential oils known as relaxants helps to soothe your mind and eliminate anxiety. The treatment helps in reducing the effects of depression. A massage with essential oils will help you get out from depression. 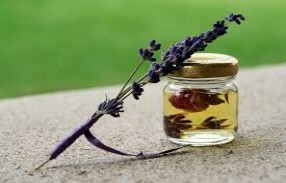 One of the best benefits of aromatherapy is that it relieves pain. The clary sage, a great natural scent, is used for the reduction of pain. Aromatherapy helps to lower blood pressure in patients with hypertension. Are you having the knowledge of any other useful health benefits of aromatherapy? Feel free to add them in the comment box below.